2 ambulances arrived at our neighbouring van – brought back memories – luckily the lady just had a dizzy spell and is fine. Went to Emu Park golf club today – what a great course – the golf was not so great. Ollie did the last 4 holes near par!!! 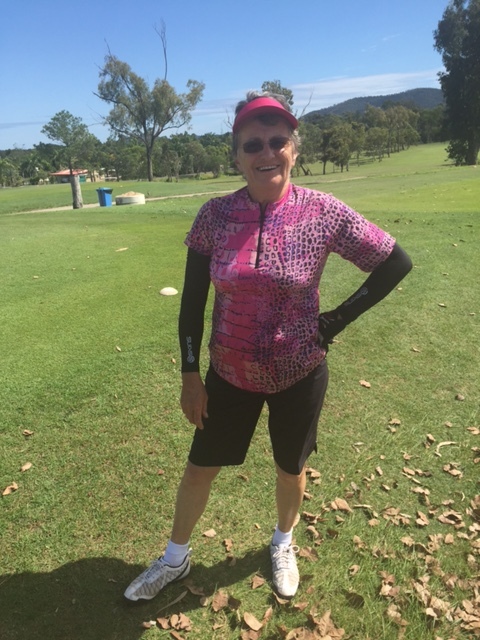 Golf at Rockhampton Country Club – surface it to say we won’t be going there again !!! 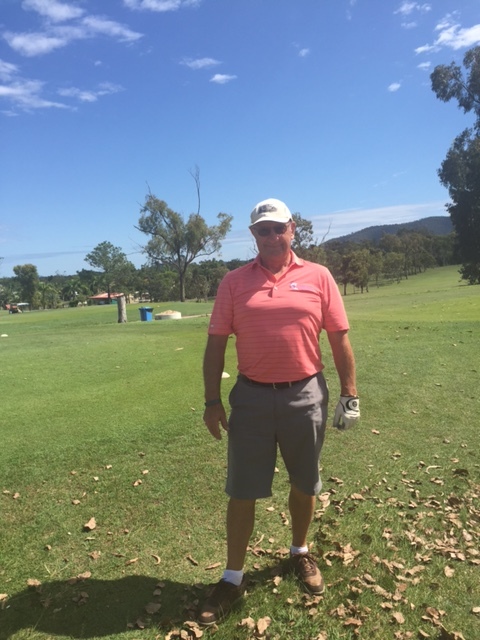 Golf again – this time at Yeppoon Golf Club. 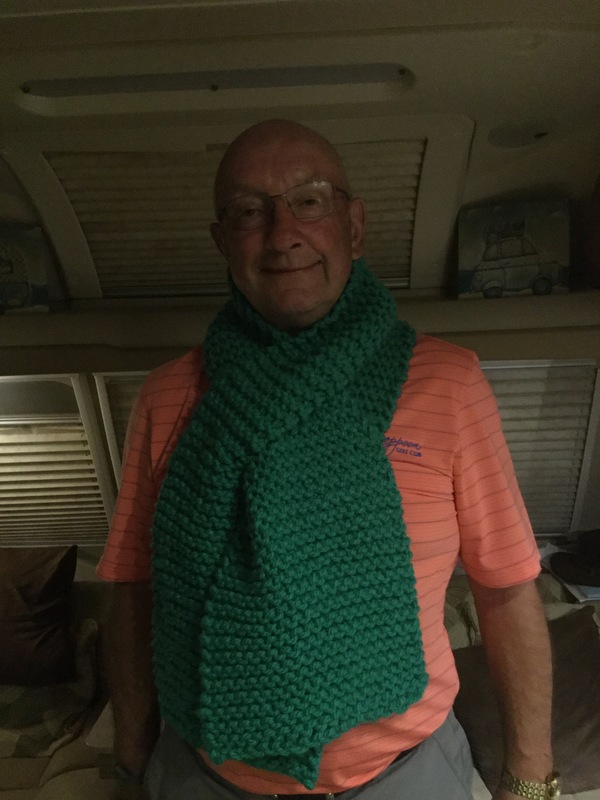 Great course – even the golf got better!!!! Ollie picked up 2 x lovely polo shirts – I got 1 – who spent the most money? – I did. Whoops again!! Paul from Ox Trailer repairs arrived early – we now have new pads in the Alko hitch. He checked out the van and declared all fine. So fingers crossed it was the hitch making the grinding noise. Any trailer problems we recommend Paul very efficient and pleasant. What a beautiful flower. Worth a visit to Benaraby Nursery to see it! 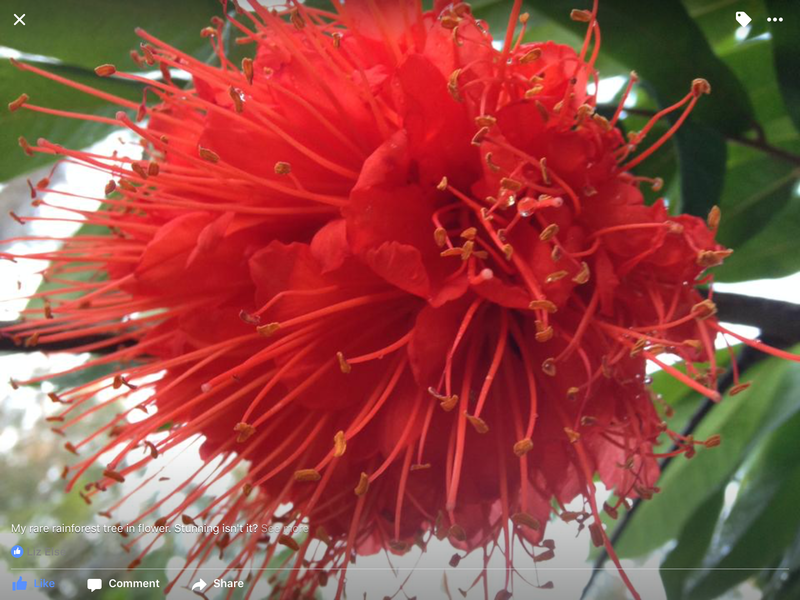 A rare rain forest tree flower. May have to pop in and take a look Judy. 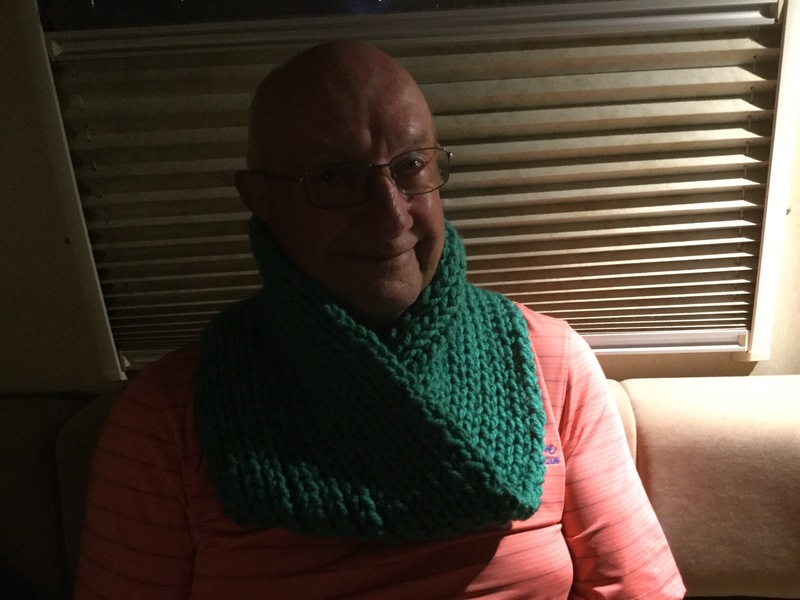 Here is Ollie modelling them – green doesn’t suit me! It is going to be golf, golf, golf for the next few weeks. 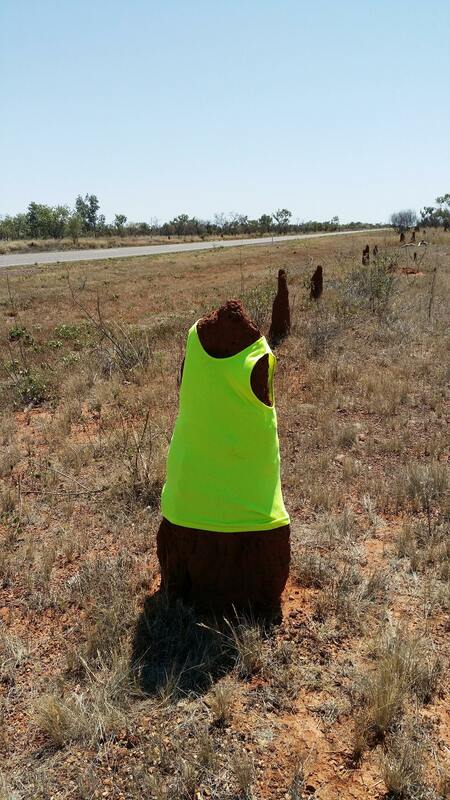 My coach (Ollie) has me in training for the Bargara Ladies Classic on 8th – 10th Oct. This entry was posted in Uncategorized on September 16, 2016 by aloeliz.